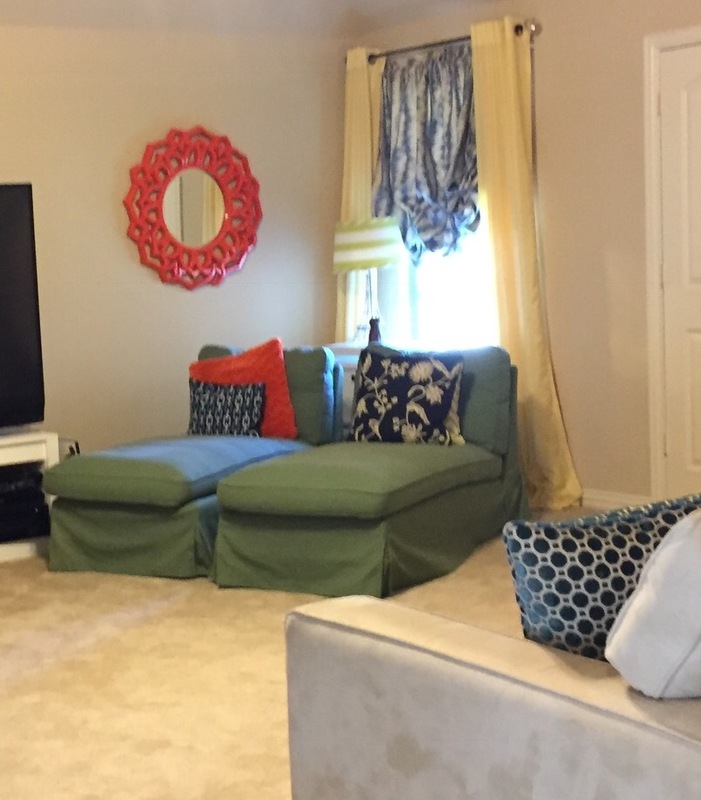 It’s week three of the six week One Room Challenge where I’m redecorating our Media Room. If you missed the first two weeks, you can see them here and here. 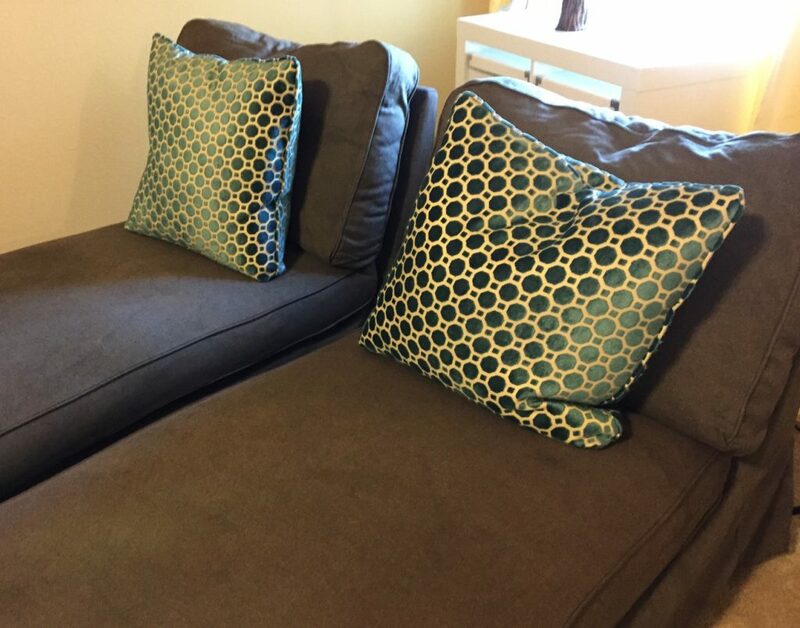 For this past week, my main goal was to attempt to dye my Ikea Ektorp chaise covers. 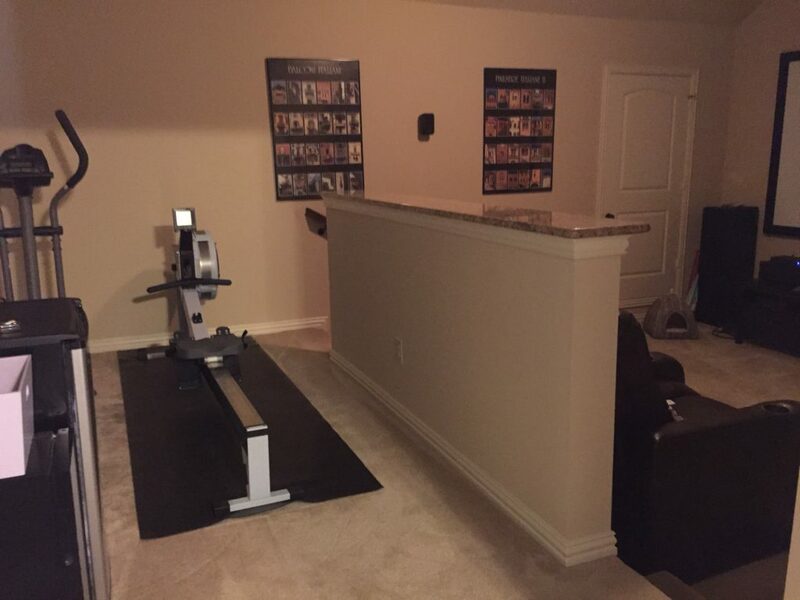 In this “before” picture, the chaises are in our Game Room. I want to move them into the Media Room to add additional seating, but the green covers won’t go with the design. Ikea doesn’t sell these chaises or the slipcovers for them anymore. I did find a source on Ebay that sells slipcovers for discontinued Ikea pieces, including these chaises, but they’re in China and the lead time is 4-6 weeks, so that really wasn’t going to work. 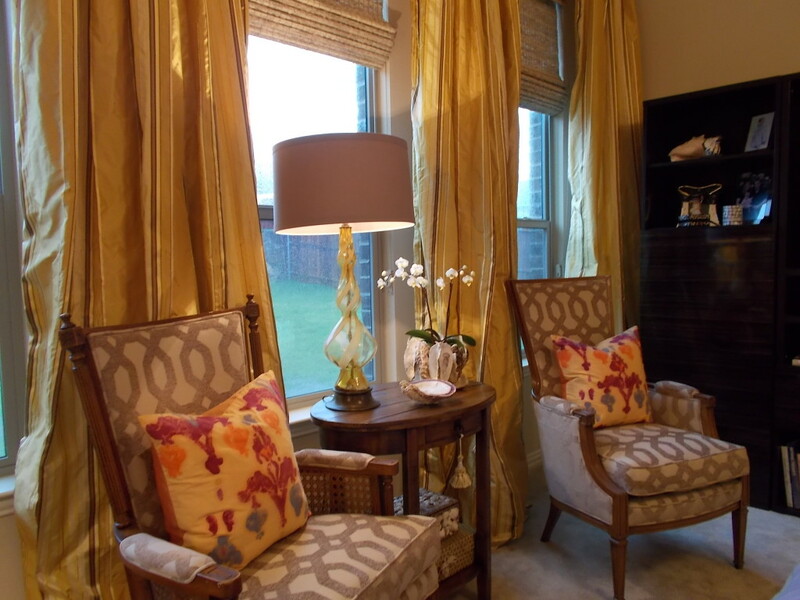 Pair of yellow batiked pillows. 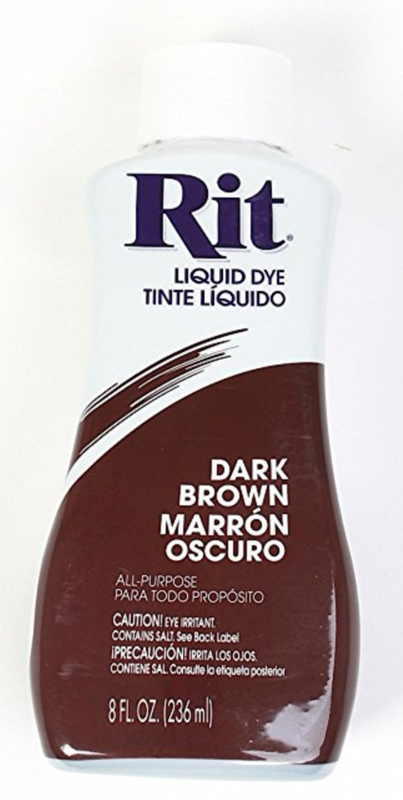 Rit dark brown liquid dye. 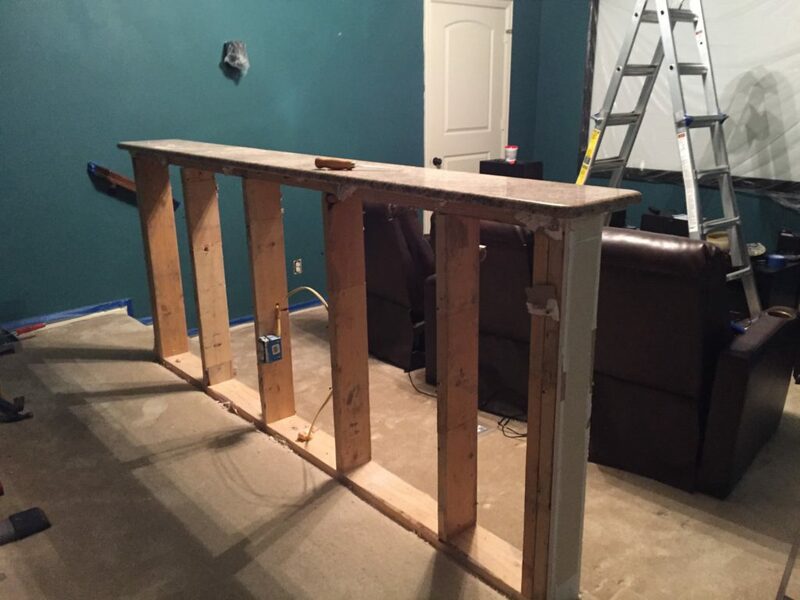 This week I also started demoing the half wall that basically split the room in half and made it impossible to have more that three seats in here. Media Room half wall before. That’s it for this week. Next week I’m hoping to have my theater curtains up. 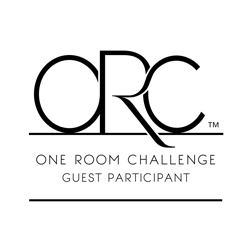 Look at all the beautiful work of the ORC Wednesday participants and the other guest participants. I love to demolish walls! It is so satisfying. That first dyeing technique sounds interesting. I’d love a tutorial on it some time. I love your inspiration The Peacock Room!!! The chaises look great brown and be careful demoing! Looks like a big job. I am going to be out of town for 2 weeks, but I look forward to seeing the finished product. I’m sure it will be fabulous!! I had planned to explain the process but I ran out of time with all my projects and trying to post the blogs. I sort of followed this tutorial: http://suzyssitcom.com/2011/04/feature-friday-making-batik-fabric-with-crayons.html/2. However, I floated the muffin tin with the crayons in a large stock pot of water over the heat to melt the crayons, and I used yellow cold water at the end to dye the background fabric.